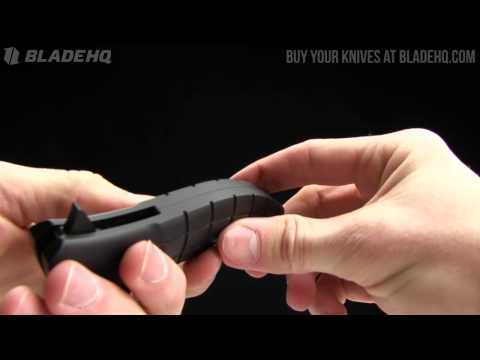 The Snap is a Kirby Lambert designed flipper from HTM Knives. This knife is a manual folder that sports a recurved 154-CM stainless steel clip point blade with a black non-glare finish. 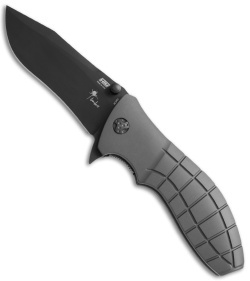 The aircraft aluminum handle is hard coated and machined with a unique grenade grip pattern. Includes a tip-up carry pocket clip and Maxx Glide Pivot Bearing System for smooth and precise action. 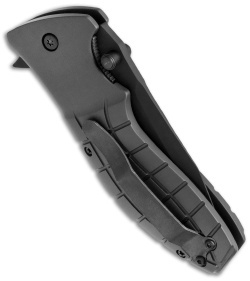 The blade locks open with a liner lock tab. The Snap has a great feel in hand and it's perfect for tactical carry or as your EDC knife.